Dr. Beth Goodland was born and raised on Long Island. She received her Bachelor’s degree from the University of Delaware with a double major in Animal Biosciences and Agriculture. During this time, she also spent time working with a number of local organizations on Long Island with animals of all shapes and sizes. Dr. Goodland then attended Tufts University’s Cummings School of Veterinary Medicine where she completed a doctorate degree in veterinary medicine. 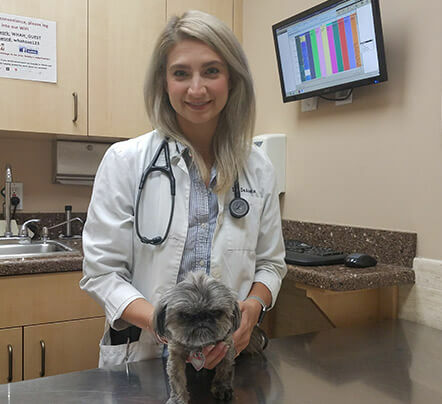 She pursued further training by completing a one-year small animal internship at Red Bank Veterinary Hospital in New Jersey. Dr. Goodland shares her home with 3 cats, 1 dog and 1 rabbit. Her professional interests include emergency medicine and exotic companion mammal medicine. In her free time she enjoys indoor rock climbing, hiking and spending time with her family. 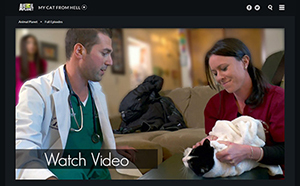 Dr. Katie Parsley grew up in Deer Park, NY surrounded by pets. She has always known she was going to be a veterinarian—and began to work in animal hospitals when she was just 15 years old. She graduated from Villanova University in 2004 with a BA in Art History, as well as concentrations in Comprehensive Science and Studio Art. After college and for the next 7 years, she worked in animal hospitals in many capacities such as assistant, receptionist, groomer, and tech. She then decided to complete her doctorate of veterinary medicine at Ross University, on the island of St. Kitts. Finishing her clinical year at Oklahoma State University, she returned to Long Island to practice small animal medicine. Since graduating in 2015, she has steadily worked in general practice and is excited to join our team at West Hills. Her professional interests include internal medicine, surgery, and ophthalmology. Dr. Parsley currently resides in East Islip with her rescued pets – 7 cats, a dog named Lizzie, and a chinchilla. When not at work she enjoys gardening, traveling, and spending time with family. 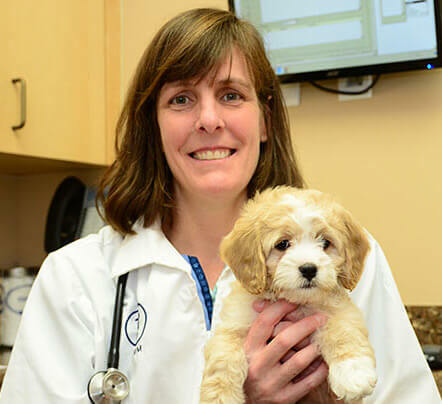 Dr. Stacey A. Ries is a graduate of Cornell University, where she earned a Bachelor of Science Degree in Animal Science in 1991 and her Doctorate of Veterinary Medicine in 1995. Dr. Ries grew up in the Adirondacks but has been practicing on Long Island since 1998. 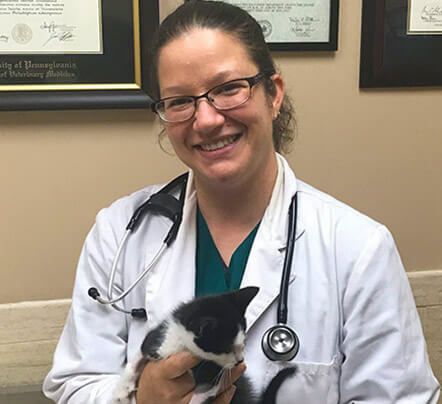 While the focus of Dr. Ries’ career has been providing exceptional client and patient care in General Small Animal Practice, she has also worked in Emergency/ Critical Care settings and spent two very rewarding years in Shelter Medicine as a staff veterinarian at The Michigan Humane Society in Detroit. When not at work, Dr. Ries enjoys gardening, alpine mountaineering, ice climbing, Obstacle Course Racing and spending time with her family. She currently “shares her home with” (code phrase for “lives to serve”) five guinea pigs, a former junkyard cat named Opie and an intolerably spoiled Beagle Mutt named Thelma. Dr. Jason Siegelheim grew up in Dix Hills, New York. He attended Cornell University, where he earned a BS in Animal Science in 2008. He went on to study at the University of Florida College of Veterinary Medicine in Gainesville, where he gained experience in both small and exotic animal medicine, graduating in 2012. 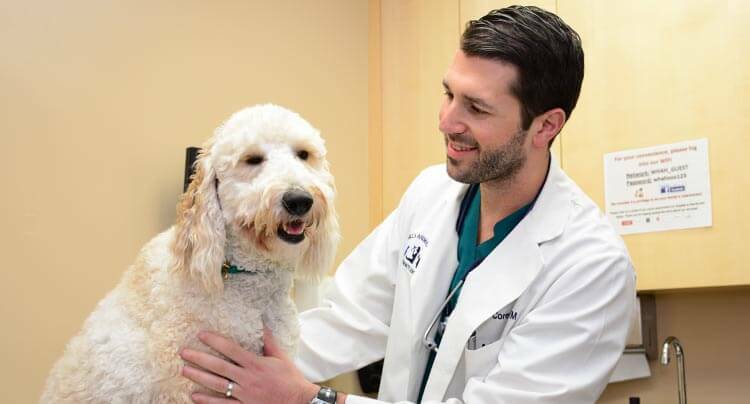 Dr. Siegelheim went on to spend four and a half years working at Central Animal Hospital in Scarsdale, New York. There, he cared for dogs, cats, rabbits and exotic pets, including birds, reptiles and all types of small mammals. He also worked with wildlife brought in by the Greenburgh Nature Center staff, local wildlife rehabilitators and the Greenburgh Police. 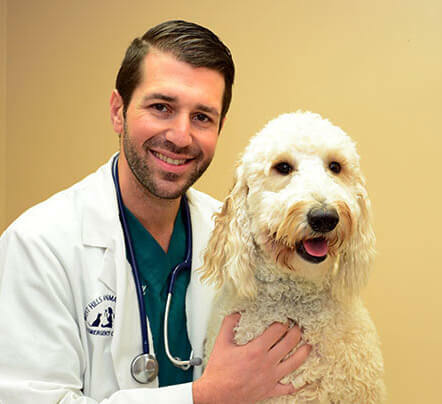 Since November 2014, Dr. Siegelheim has also provided veterinary services at the City of Yonkers Animal Shelter, where he performs spays, neuters and other surgeries on adopted dogs and cats. Dr. Siegelheim’s professional interests include dentistry, dermatology, neurology, and small/exotic animal medicine and surgery. At home, he cares for his dog, Jee, a New Guinea Sideneck Turtle and a flying squirrel named Icarus. He currently resides in North Riverdale and enjoys hiking with Jee, rock climbing, traveling and watching movies. A native of Long Island, Dr. Tiffany Sikalas earned her Bachelor’s degree in History with a minor in Chemistry from Hunter College in 2008. 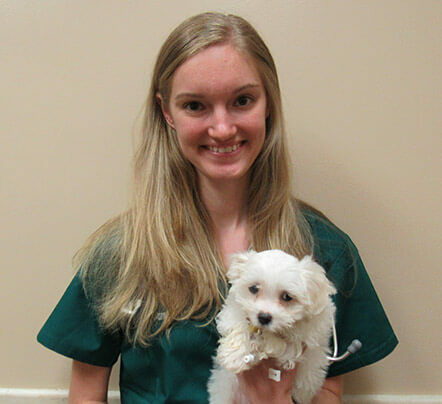 After college, she went on to earn her VMD degree from the University of Pennsylvania in Philadelphia, PA. She then completed a rotating small animal medicine and surgery internship at the ASPCA Animal Hospital in New York, NY. 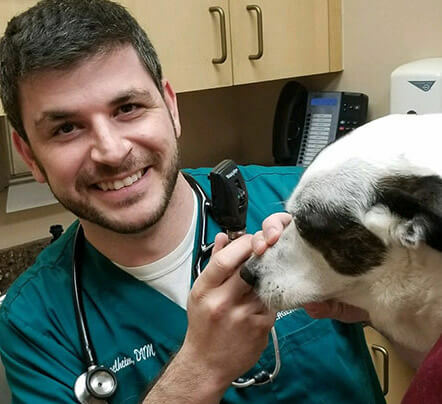 After spending some time practicing emergency medicine in Connecticut Dr. Sikalas was eager to return home, and happily joined our team at West Hills Animal Hospital. She currently lives in East Setauket with her husband Nick and their four dogs, Hugo, Weeble, Peter Griffin, and Madam Kerfluffle. 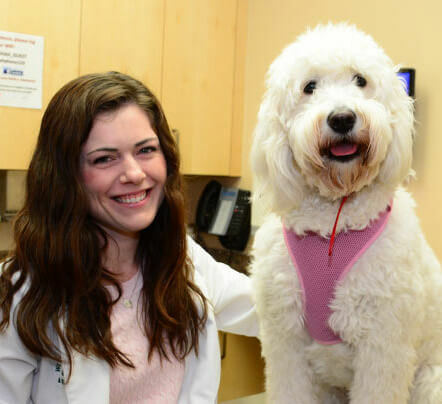 Dr. Kristie Williams is a native to Long Island having grown up in Syosset/Woodbury, and joined the team at West Hills after two years of internships directly following veterinary school. Prior to vet school, she worked as a veterinary technician/assistant for many years at several small animal hospitals on Long Island. Dr. Williams graduated from Penn State University in 2012 with a Bachelors in Animal Sciences. 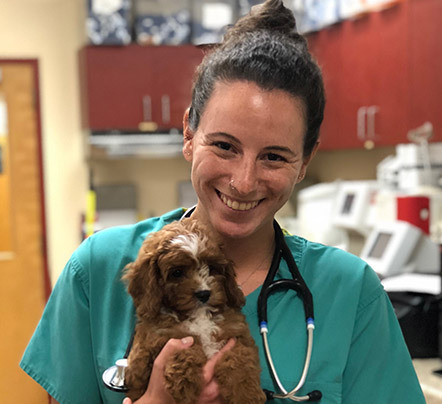 She then attended Ross University School of Veterinary Medicine with a final year of clinical training completed at Tufts School of Veterinary Medicine, graduating with high honors in 2016. 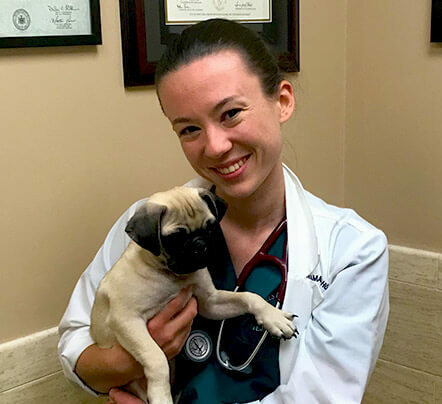 After graduation she completed a rotating internship in small animal medicine and surgery at the esteemed Animal Medical Center in NYC and proceeded to complete a specialty internship in small animal surgery at BluePearl Veterinary Partners in NYC thereafter. Her professional interests include surgery, wellness care, diagnostic imaging, and internal medicine. Dr. Williams currently resides in Muttontown with her fiancé Steve, pitbull Cash, shepherd mix Colby, and two Pekin ducks Mac & Cheese.